Breakouts are a serious self-esteem downer. Instead of looking at your face as a whole, your eyes tend to focus on the white heads, blackheads, and the red pimples on your skin. Additionally, it is hard to find the real cause of your problem on your own. You need to get a check-up at a skin clinic in the Philippines. Thus, it is best to know the do’s and don’ts of breakouts so you do not worsen it. AHAs/BHAs- AHAs work by dissolving the structure holding your dead cells together. After destroying their barrier, these particles will shed and new skin cells will develop on their own. BHAs work the same way, but instead with your pores. When your face undergoes AHA or BHA facials at skin clinics in the Philippines, you will always come out with glowing skin. Lactic- More gentle than AHAs and will hydrate your skin at the same time. If you look at the back of many acne-cleansing products, you will see rubbing alcohol high in the ingredient list. This is because wiping your face with this chemical will make it feel “fresher” or “cleaner”. Yet, this is not the reality and instead, you are stripping your skin of important oils. When you dry you skin of precious oils, you are worsening your breakouts. This is because there are is no barrier against acne-causing properties such as microbes, dead skin cells, and environmental factors. Additionally, you face may start to peel or become red. These signs of irritation push your face to create more pimples as a response. While breakouts can be caused by too much oil, moisturizing will not lead to your face greasing up. In fact, it stops it from becoming oilier. 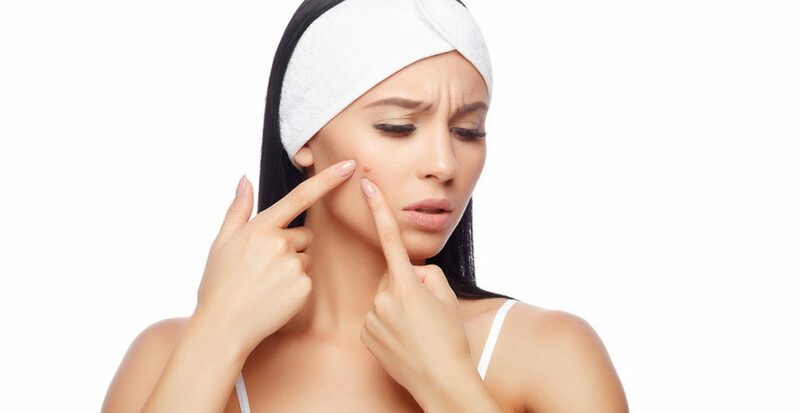 When you have pimples, it could sometimes be a sign that your skin barrier is weakened and irritated. You have been drying your skin for too long. The only way to fix that problem is by getting a non-comedogenic moisturizer. How does a simple skin-care product protect your barrier? It provides much-needed fats, protein, and hydrating water. When you see red breakout pimples, picking them is an urge that can be hard to resist. Yet, doing so repeatedly will just worsen your problem. First, picking is very unhygienic. Not only do your fingers have debris, but you are pushing pimple-causing debris deeper into your pores. Second, you are prolonging the issue by producing acne-scars. These grey marks irritate your face and proof that you never allowed your breakouts to heal on their own. If you want them popped, go to a specialist instead. Breakouts not only make you more conscious about your appearance, but they are a problem that can be difficult to solve. It is a face issue that can be caused by many reasons. Thus, it is best to know all the do’s and don’ts to prevent any risks.